We have collected seed from some of the Lomandras we planted 2-3 years ago, and as you can see in the head image we had lots of seed to collect and use. 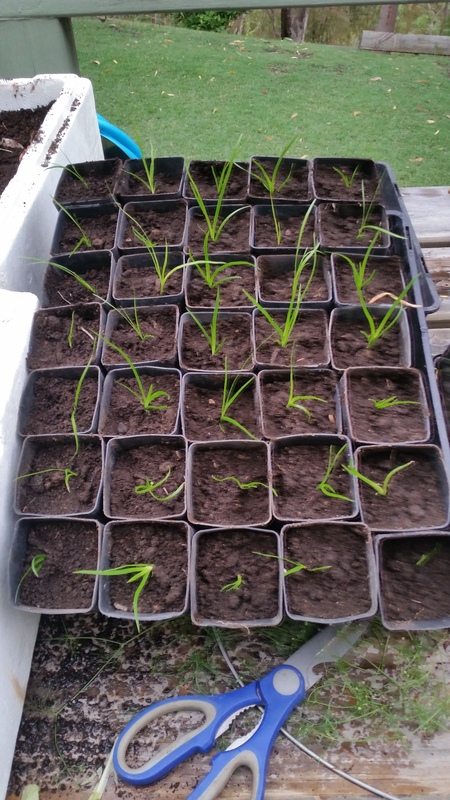 This time we will be propagating Lomandra hystrix. 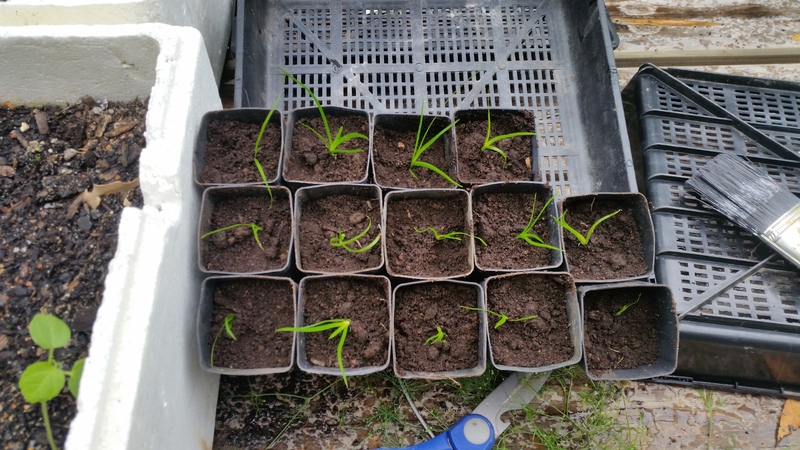 We have had some good success in propagating Lomandra confertifolia and the plants are close to maturity. 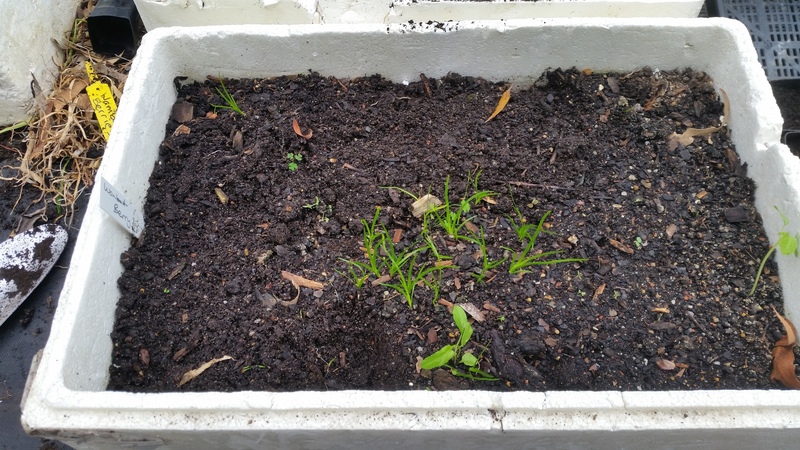 Again, we had really good success with the Lomandra hystrix seeds and the seed tray is continuing to produce more plants. 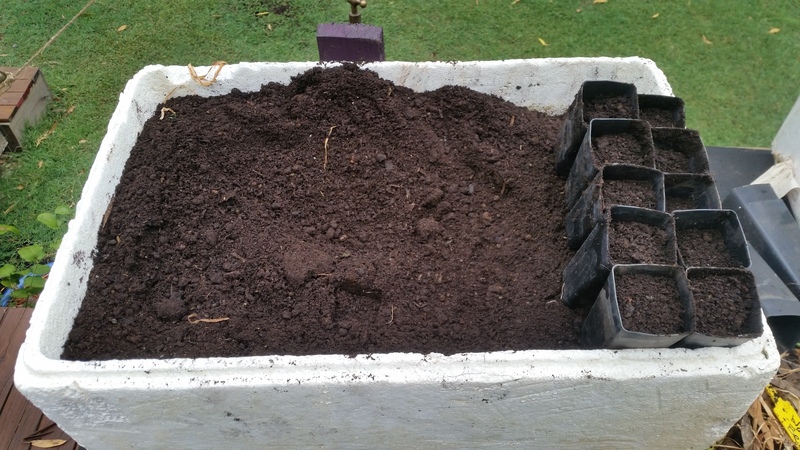 Each seedling is replanted in to a tubestock tube with a mix of our local soil, aged mushroom compost and aged forest mulch. The trays are then kept in a bright shade covered area and watered twice a day. It has been extraordinarily dry and hot here, as it is over a lot of Australia, and we have lost some seedlings to the heat. But our success rate is still good and we ‘tubed up’ 70+ plants in the first round. We have twice gone back to the seedling tray and ‘tubed up’ more seedlings and our count is now well over 100. 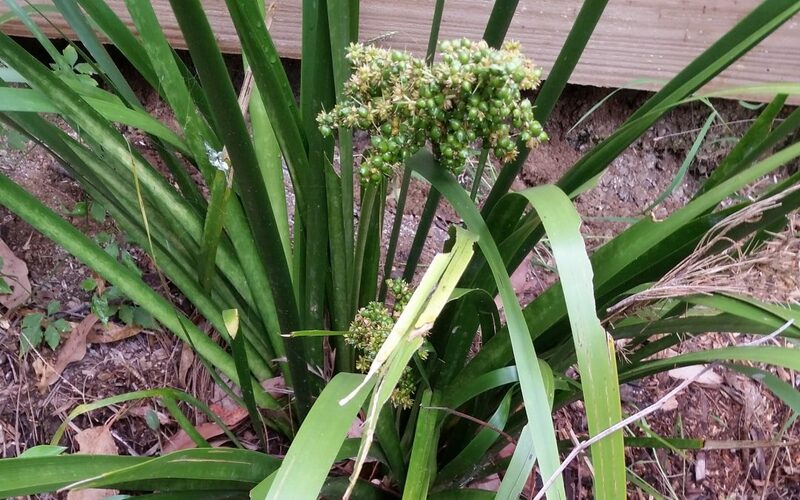 Our next batch will be Lomandra longifolia and that will be followed by Lomandra spictata. We will also continue to propagate hystrix and confertifolia as we will need lots more over the next few years. Many of these plants will go to the Nursery to be part of the plantings that reinforce the banks of each pad. Our seedlings will also go to the Nursery when the shade house is built. Hopefully that will be completed before the end of summer. 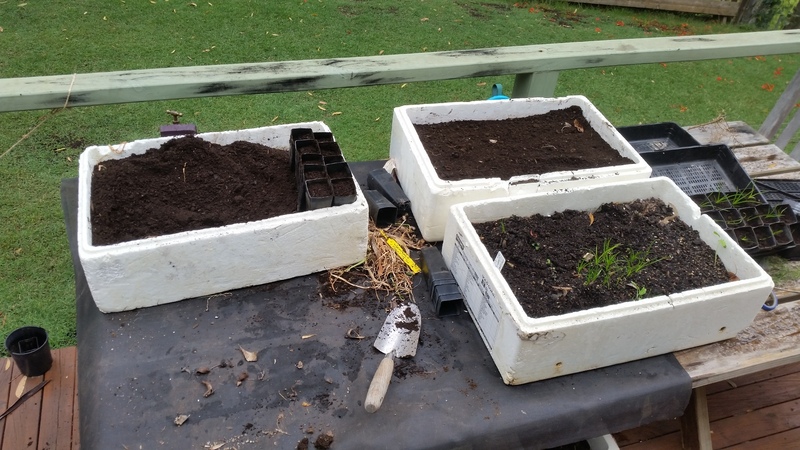 We continue to grow and propagate Grass Trees, Swamp Hibicus, Brisbane Lilys and others as part of our growing from seed that we have produced or acquired.